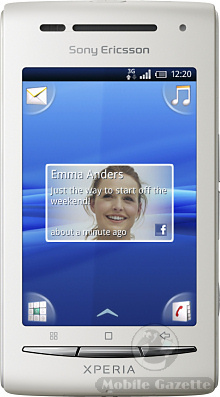 With a dual core 1GHz processor and a big 4" display, the LG Optimus 2X may just have rewritten the rules.. While we're still waiting for the first phone to come out with Android 2.3 (the Samsung Nexus S), Google have gone one step further with a look at Android 3.0 "Honeycomb" running on a Motorola tablet device.. which a Google VP jokingly said would cost $10,000 (although this is probably an accurate price tag for an engineering sample like this). Android 3.0 is built with tablets in mind, a big plus point to anyone who has felt a bit disappointed by the Samsung Galaxy Tab which is just like a scaled up smartphone. Obviously, all this is going to appear sometime next year.. and hopefully it will give some serious competition to Apple's highly-polished tablet offering, whatever that is called. 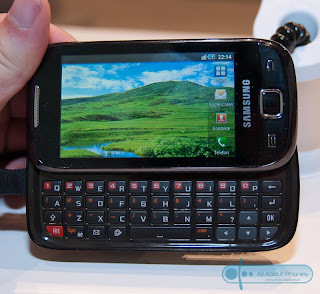 At last, the Samsung Nexus S (or is it the Google Nexus S) is official. 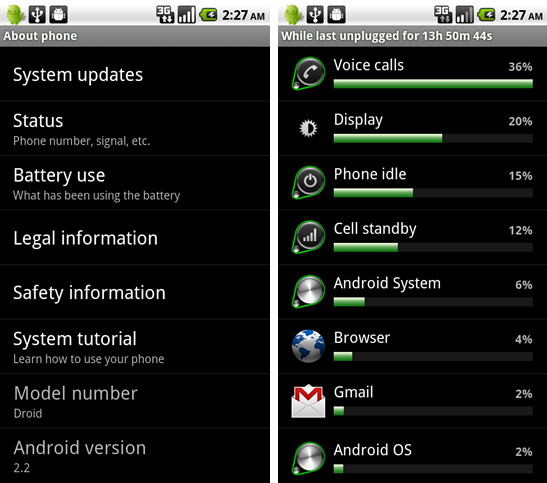 Few surprises here.. basically a tweaked version of the Galaxy S running Android 2.3, but that's no bad thing. And if you live in the US and UK you might be able to get your hands on one by Christmas. 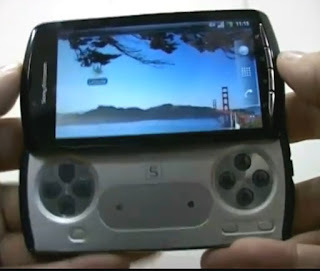 Sony Ericsson Playstation phone revealed.. sort of. The "Zeus" is allegedly Sony Ericsson's dedicated gaming phone, although it has been dubbed the "Playstation phone", this is in fact an android slider that substitutes gaming controls where you might expect to see a keyboard. The announcement is expected this week.. but it's too late to get this in the shops by Christmas which would have been ideal. The Zeus will certainly give a boost to Sony Ericsson, in our view they have failed to impress this year and their flagship Xperia X10 device is not a patch on the HTC Desire (although the X10 Mini is an intriguing device). 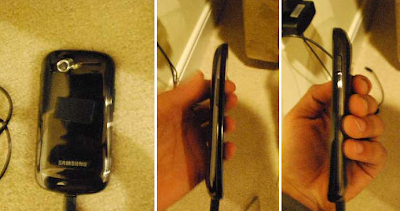 The Google Nexus One (built by HTC) wasn't exactly a success as a consumer phone, but since it became a "developers only" handset it has established a significant niche with those who want a pure Android handset unsullied by manufacturer and carrier cruft and who want the latest versions of the OS. It's a bit of a surprise to see that there will (apparently) be a follow-up, but these spy shots of the Samsung Nexus S show a fairly large device running Android 2.3 (Gingerbread). 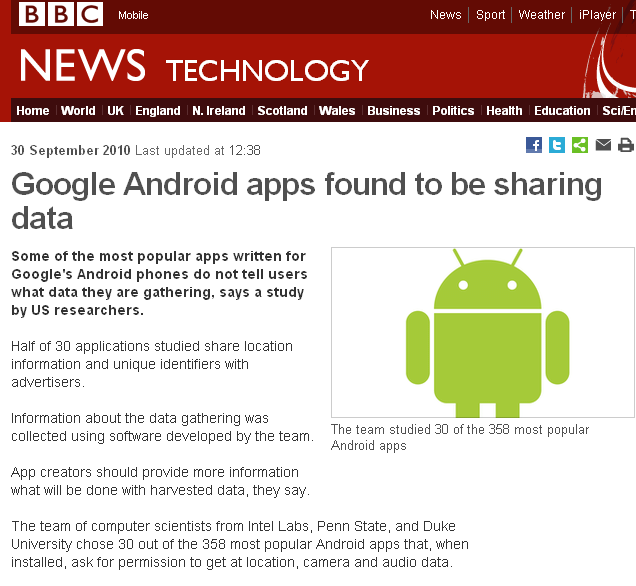 It seems that Google might be trying to go upmarket from where they were, and this is probably a good idea. Rumoured specs include a 4" 800 x 480 pixel screen, possibly a dual core processor with 512MB RAM, one or two gigabytes of internal memory and HD video capture, so basically a step up in size from its predecessor. More details and spy shots are available at XDA Developers. We've never rated the Xperia X10 much.. it's a decent enough effort, but it simply isn't competitive against the HTC Desire due to its hardware and software limitations. So, the leaked Sony Ericsson X12 looks significantly better with Android 2.3 "Gingerbread", a bigger 4.2" display and a speedy Qualcomm MSM7230 processor. There have been several leaked photos along with some fairly detailed specifications, we guess that the X12 will be announced very soon for market introduction sometime in the first half of 2011. 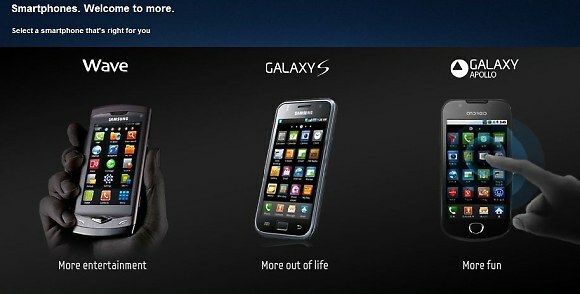 But will they be able to compete effectively with HTC, Motorola and Samsung when it comes to high-end Android phones? Is this the worst product review ever? PDA-247s look at the bargain £180 Next Android tablet is scathing, pointing out a shocking lack of quality in a device that appears to be an utter waste of money. It turns out that some of the software is Chinese, which presumably got through because nobody at all checked. I give up. I simply cannot be bothered to write anything else about what has to be the worst product I have ever had the misfortune to review. It is simply terrible on every level and gets nowhere near its budget price of £180 as far as value is concerned. It can’t get near because it not only doesn’t work very well, it barely works at all. It is a sub-standard, low rent, cheap piece of nonsense which should not be sold by such a well known company. Xperia X10 line to get Android 2.1... finally. Sony Ericsson have announced that the Xperia X10 line (including the Mini and Mini Pro) are finally getting an OS update from Android 1.6.. but only to Android 2.1! Of course, everybody else is waiting for Android 2.2 or has it already, version 2.1 is already obsolete as far as many people are concerned. 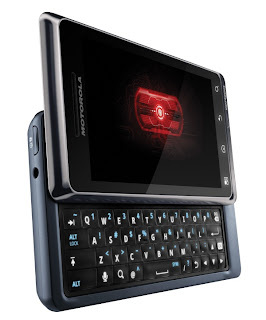 So all Sony Ericsson are doing is replacing an obsolete version of Android with a slightly less obsolete one. The Xperia X10 is a pretty decent handset, but there's really no reason to choose it over the similarly specified and much more up-to-date HTC Desire or a number of other rivals. Sony Ericsson's commitment to Android looks pretty half-hearted.. in fact their entire strategy during 2010 looks like they are not really trying. Will they survive 2011? 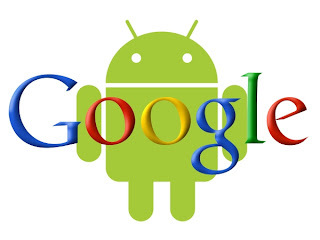 Google: Android was "best deal ever"
Believe it or not.. Android wasn't always a Google property, but it was something they acquired in 2005, three years before the first Android handset (the T-Mobile G1) came to market. 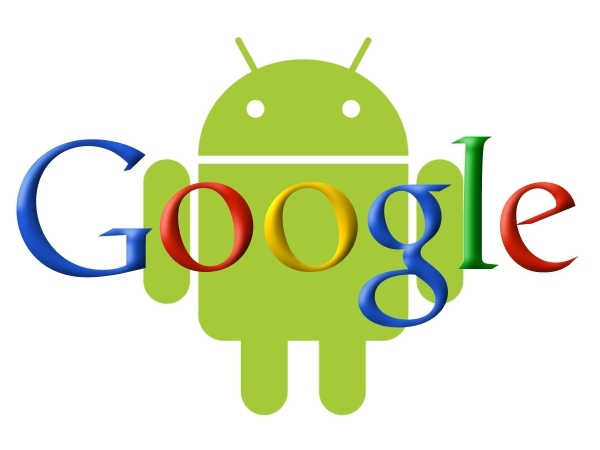 Google VP David Lawee recently called Google's Android purchase as Google's "best deal ever".. which is high praise when you consider how many companies Google has bought (for example YouTube and dozens of others). Apple may have popularised the idea of offering a complete package of hardware and software services, but Android is arguably more useful as so many people use Google services already. Microsoft has realised this too with Windows Phone 7, and is attempting to copy Apple and Android while adding its own distinctiveness.. in other words, all these big players understand that integrated mobile platforms are going to be big business. And what will that business look like in another 5 years time? The HTC Legend is a great looking phone, but really expensive for what it is. Perhaps this new Gratia (Grai-shya? How the heck do you pronounce it anyway?) is going to be a bit cheaper. Exclusive to AT&T in the US, the BRAVO is a bit less powerful than the DROID on Verizon, but it's still a pretty capable Android phone. Perhaps it's a bit cheeky to compare this with the BlackBerry Torch.. but it does most of the same things and is likely to be a lot cheaper! Bound for AT&T in the US, the FLIPSIDE is an evolution of the familiar "Morrison" line. 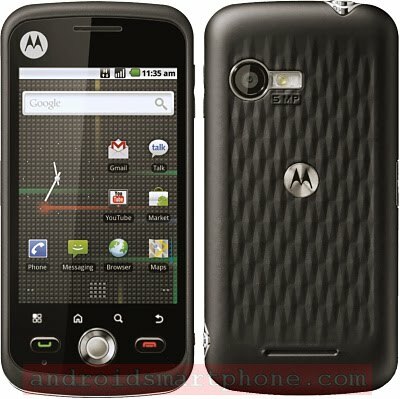 It makes a useful choice for AT&T customers and marks continuing progress by Motorola in the US market. China Mobile uses the unusual TD-SCDMA network, but it has a massive subscriber base which means that it is worth manufacturers making handsets specifically for this market. Running a variation of Android called OMS, the Sony Ericsson A8i has a 3.5" 854 x 480 pixel display, a 5 megapixel camera and all the usual stuff you'd expect such as WiFi and GPS. It looks very much like the white version of the XPERIA X10 but with a smaller screen, and its certainly an attractive European-style handset that should appeals to better off customers. Why is China Mobile so important? Well, it has over 500 million subscribers and is the single largest mobile phone network in the work. Those are big numbers.. and unlike Vodafone who are number 2 in the world, the China Mobile business is one single market which give significant economies of scale. 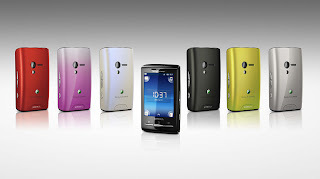 Nokia too are competing with the Nokia X5 TD-SCDMA which is a very conventional Symbian smartphone. We know which one we would choose! The original QUENCH was launched by Moto last year, but this (as yet) unannounced update takes the existing "Morrison" platform device and adds Android 2.1 and a trackball to the existing design. It didn't make much market impact though, and was mostly restricted to North American markets. The QUENCH XT5 is pitched to compete against the Nokia X6 and HTC Wildfire in the market. 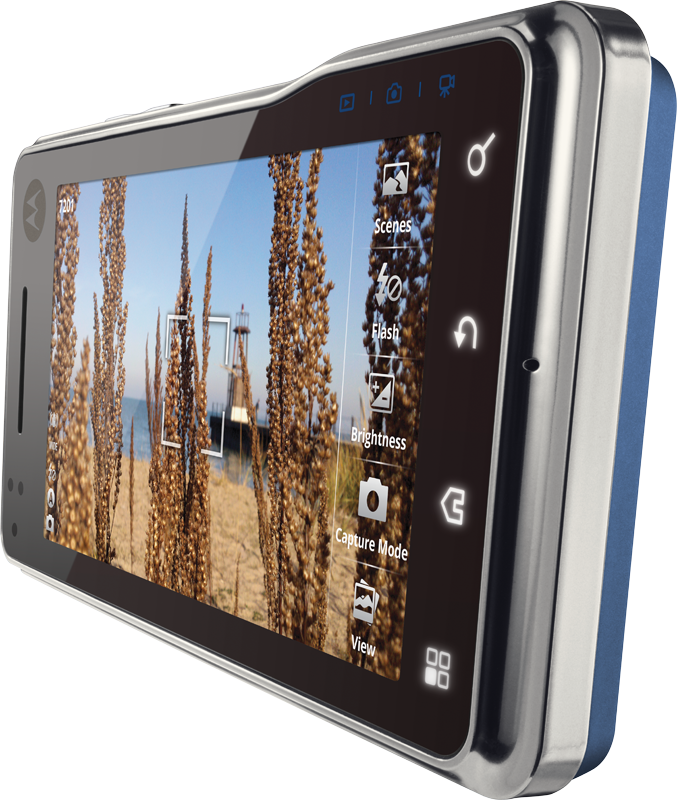 It sports a 3.2" 480 x 320 pixel display, a 5 megapixel camera with flash, FM radio, HSDPA 900 / 1900 / 2100 support, WiFi and GPS. Talktime on 3G is quoted as over hours with 22 days standby time, and the whole package weighs 114 grams. Pricing will probably be around $350 - $400 retail in the US, €250 - €300 in Europe. There's no exact word on the date yet, but we think that the official announcement of this handset it likely to be very soon. Fennec is the mobile version of Firefox, and it's now available in Alpha for several Android devices. Quite a lot more sophisticated than the standard Android browser, Fennec has been hotly anticipated as it offers a better user interface and the possibility of using Firefox addons. Don't go looking on the Android Market for it yet - you will need to download and install it a different way. The instructions are right here It certainly seems to work on our test Milestone, except that it is rather slow and can't handle embedded YouTube videos.. so it definitely isn't ready for everyday use yet. 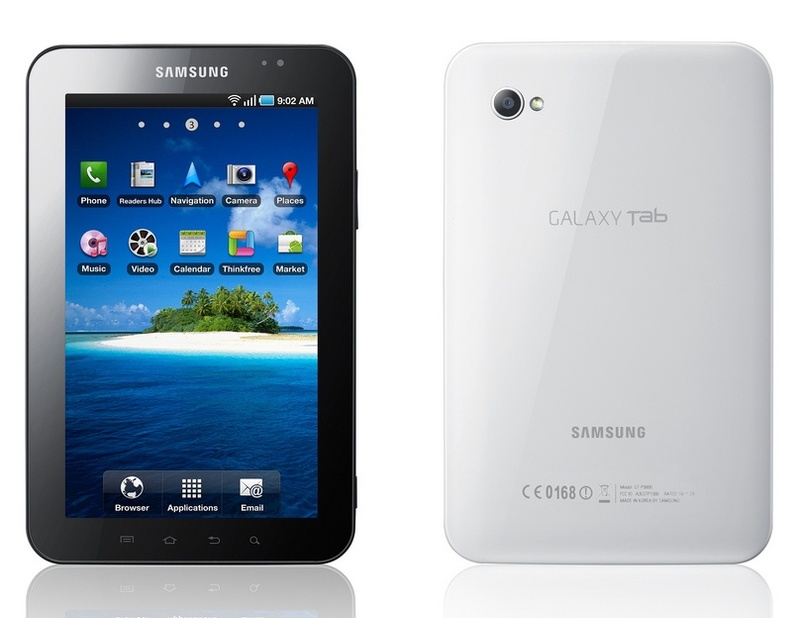 The Samsung Galaxy Tab is Samsung's answer to the iPad, sporting a 7" display and Android 2.2. Samsung have released a teaser trailer (see below) to whet our appetites before the launch next week. Looks great, hopefully it will be cheaper than the iPad too. 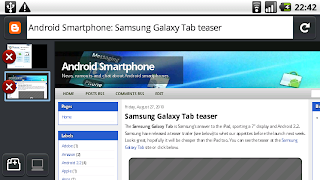 You can see the teaser at the Samsung Galaxy Tab site or click below. 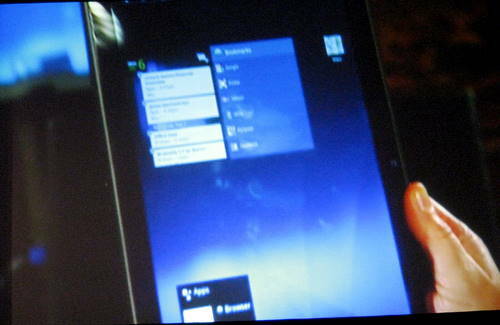 Outside the Android camp, Nokia is currently preparing its first MeeGo handset - the Nokia N9. Nokia have been sidelined over recent months with the impressive growth of Android devices, but MeeGo is the descendant of Nokia's open source Maemo OS which was a broadly similar attempt to build a powerful mobile operating system. According to Softpedia, the N9 will pack a 1GHz processor, have a 4" WVGA display, 512MB of RAM and all the other usual high-end features. What we really like? The keyboard! There's not exactly a wealth of QWERTY equipped Android devices.. and the keyboard on the popular DROID / Milestone is sucky to say the least. The N9 looks very good though, reminding us a bit of the highly usable keyboard on the Nokia 9210. So yes, this is an Android blog and the N9 isn't an Android phone.. well, not yet. 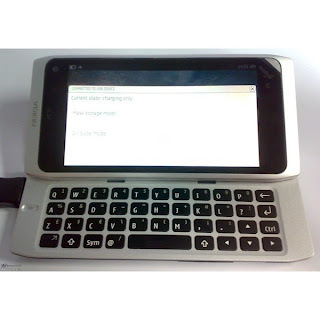 We imagine that it won't be long until some enterprising person hacks the handset to run Android, just as they did with the N900.. see the video below for more. Xperia X10 Mini is phone of the year.. apparently. Apparently voted "phone of the year" for 2010-2011 at the European EISA awards is the Sony Ericsson Xperia X10 Mini. No, we're not sure why either. It's alright, but really we think that the screen is too small to be really practical. Oh well. 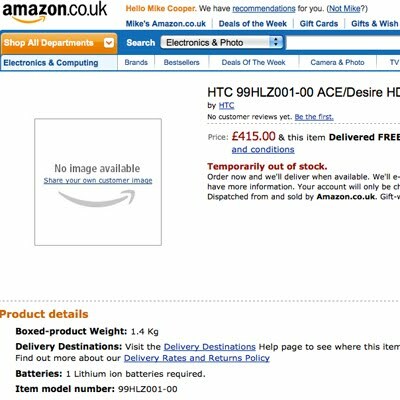 It really can't be long before HTC formally announce the HTC Desire HD when Amazon (accidentally) listed it for £415 in the UK..
"Complete Guide to Maximizing Your Android Phone’s Battery Life"
How-To Geek has a great article on how to maximize the battery life on your Android phone. If you're struggling with battery time, then you really need to read this to understand exactly what might be sucking the life out of your precious battery. In particular, the issue of background applications running when you don't want them is a serious issue. 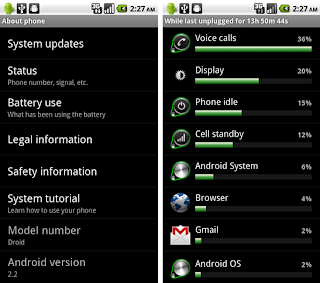 Unwanted apps not only drain the battery, but they can also slow your phone down and use memory. Very few applications have a proper "Exit" function, so these can build up over time. It's baffling why Android doesn't come with a decent Task Manager - How-To Geek recommends Advanced Task Cleaner, I personally recommend Task Manager by Rhythm Software although there are a huge number to choose from in the Android Market. Another good argument for going SIM-free was the decision of Vodafone in the UK to push out an update to customers that - instead of being the expected Froyo update - in fact filled the phone in unremovable Vodafone-branded applications. User reactions were understandably very negative, after all if the phone didn't come with this crap on when it was bought.. what right does the carrier have to install it later? Now the BBC are reporting that Vodafone have backed down on the update and will offer it as an optional download at a later date. The whole OS update issue looks like a storm brewing. 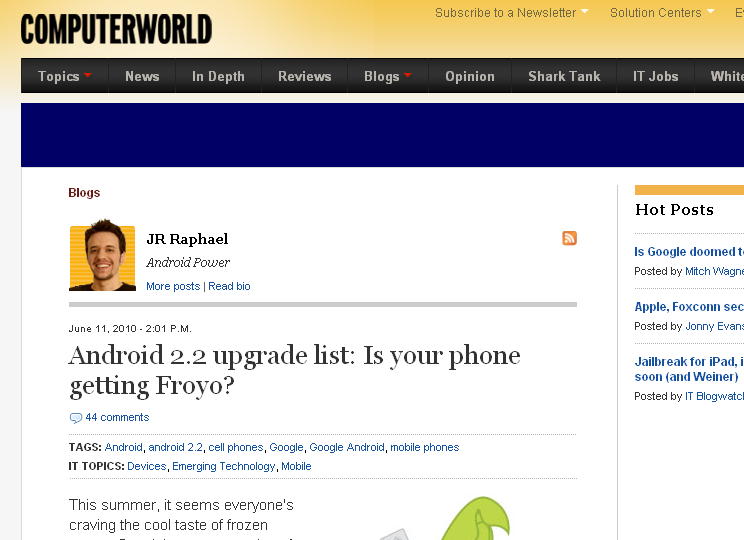 Customers very much want Android 2.2, but some manufacturers and networks are dragging their feet over the issue. Maybe there was a point to the Google Nexus One after all, as that was the first to get the update.. but will it run Android 3? You know when a platform is beginning to be successful when the bad guys start writing viruses for it, and the mainstream media take notice. 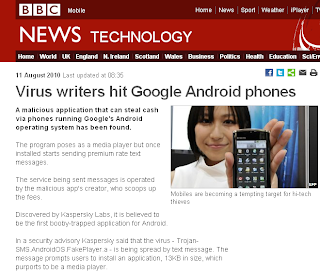 According to this report, Kaspersky Labs discovered the malware which is said to be the first malicious application for the Android platform (really?). The malicious application spreads via SMS and seems to be hitting Russian Android users in particular. 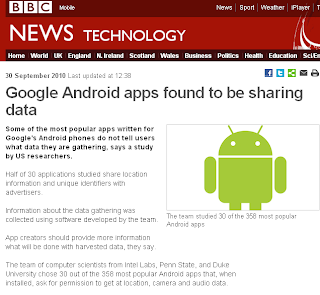 There are perhaps a couple of good things to do to keep safe - firstly, most Android users should stick the the official Android Market for applications.. but even then you should be careful when installing applications and look at the reviews and see EXACTLY what the application is asking to have access to. Not much to see, except that it exists.. definitely one to look out for! 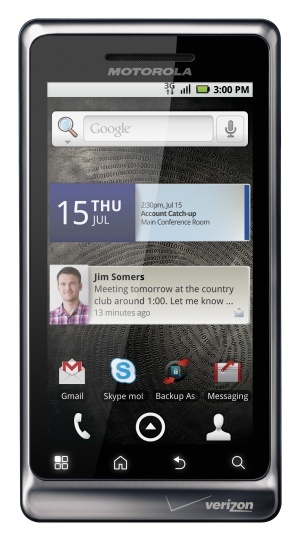 We think that the HTC Desire rocks, and it's definitely one of the best Android devices on the market. It makes sense that HTC would want to follow on this success, and apparently they are looking at the HTC Desire HD and HTC Desire Z (or perhaps HTC Vision or HTC Desire Vision) to carry on from the original Desire. There's also an upcoming variant of the Desire that uses an SLCD display instead of OLED, partly down to manufacturing difficulties with OLED displays. Our response.. well it's "game on!" Goodness only knows what HTC have in their plans for an "HD" version of what is already an HD device.. most likely something very, very Desire-able indeed! 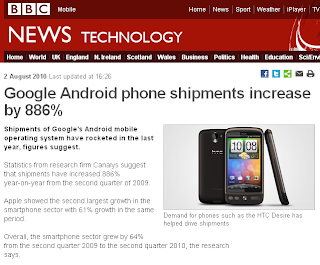 According to a widely reported analysis from Canalys, shipments of Android phones were up 886% between Q2 2009 and Q2 2010, as sales of smartphones surge. Canalys says that the number one platform for smartphones was Symbian with 27.1m shipments in the quarter, followed by RIM's BlackBerry OS at 11.2m, Android at 10.7m and Apple's iPhone at 8.4m. All vendors reported about a 40%-60% increase in shipments except Microsoft that slipped 10.2% in a rapidly growing market. 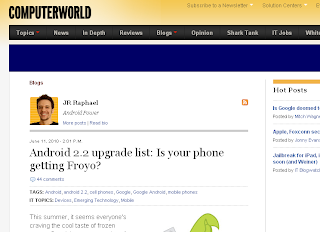 It's hard to keep track of just which Android devices may (or may not) get an upgrade to Android 2.2 (Froyo) and when. The best resource we can find for this is JR Raphael's "Android 2.2 upgrade list" over at ComputerWorld which is kept up-to-date with latest developments. 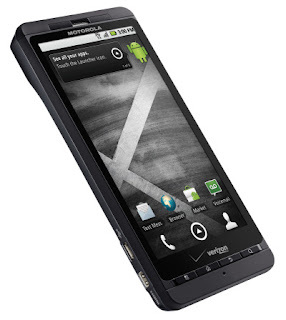 The headlines are that the Google Nexus One was the first to have the new OS, and in the US the HTC EVO 4G and Motorola DROID start with the rollout this week. 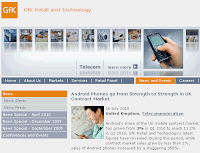 In Europe the HTC Desire rollout should start in a few weeks time, but the situation with the Motorola MILESTONE is a bit unclear, although O2 Germany say they will be pushing 2.2 out to Milestone customers in September. 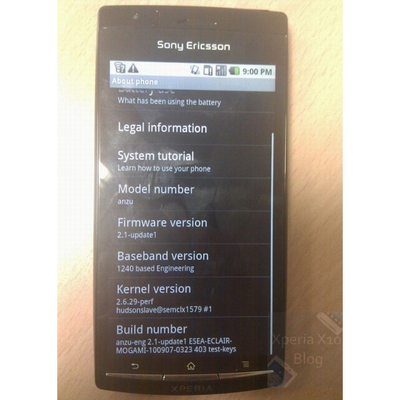 There's no news on the Sony Ericsson XPERIA X10 though. Definite a good page to keep bookmarked if you want to keep track of the Froyo release schedule! Modu's mini handset and clever jackets didn't really make much of an impact, slowly sneaking onto the market and without the wide range of accessories that we were hoping for (you can buy one here). But the concept of a modular phone was interesting and certainly a radical and new idea. 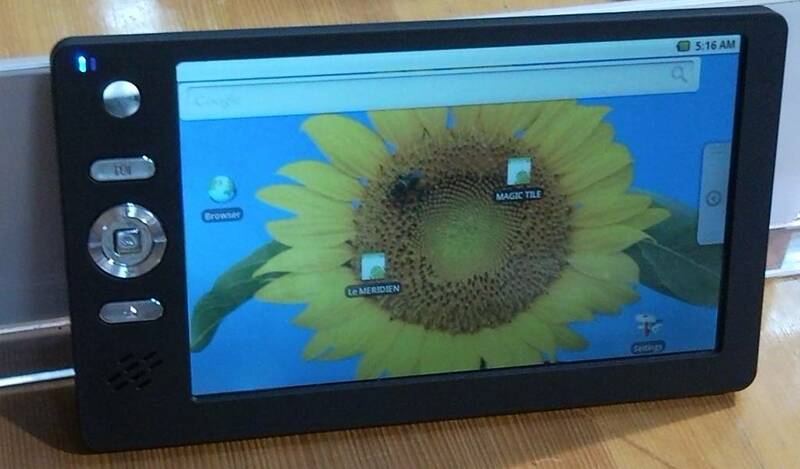 It's a surprise therefore to see an Android phone from Modu, but here it is.. or at least a prototype. As it stands, it's a tiny Android touchscreen phone competing against the Sony Ericsson X10 Mini which we guess gives it a certain appeal. GfK reports that Android's share of the UK contract (post-pay) market grew 3% in Q1 2010 to reach 13.2%. Sales of "Advanced Operating System" handsets (smartphones to you and I) accounted for a whopping 66.7% of contract sales in Q2, with latest figures indicating a 73.5% market share. Remember though that a lot of these smartphones are going to be Nokia S60 handsets, where the users may not even realise that they can download apps at all. 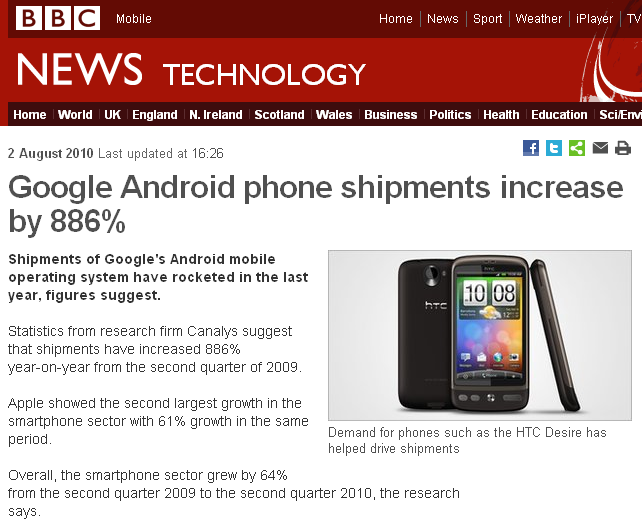 Although market share is still quite low, the growth of Android seems to have an unstoppable momentum in the UK market. 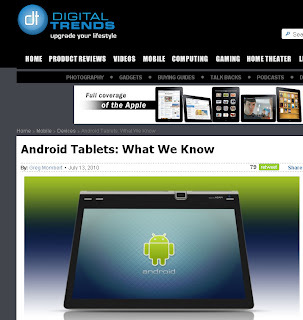 File this one under "rumours", because frankly we don't think that it is possible.. but AndroidOS.in is covering a story about an alleged $35 Android tablet for the Indian market, with a 5" display, WiFi, 2GB internal memory and a USB port for $35.. what is even more unbelievable is the claim that it could go even lower. Frankly, we don't think that this is possible.. even in large volumes. Things like 5" touchscreens are fairly pricey, and high demand for them would possibly even drive prices up due to component and raw material shortages. Even Nokia can only manage something like the Nokia C1-00 for that price. Anyway, good luck to them, we say.. 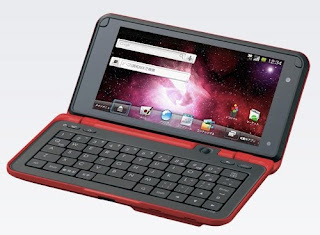 Yesterday we looked at some upcoming Android tablets and said that we'd love to see one with a QWERTY keyboard. Well.. here's one, the Sharp Lynx which pretty much does everything that we want. Before you get too excited, the Lynx is heading for NTT DOCOMO is Japan only. We can see no real reason why it couldn't be tweaked a bit for Europe though, and really we would very much like to see it over here. The specs are very nice indeed - a 960 x 480 pixel screen, trackball, GPS, WiFi and a 5.3 megapixel camera (an odd number we guess). At 148 x 84 x 18mm and 230 grams it's certainly easier to carry around than a laptop, but a lot more convenient than a smartphone. Do you want a Motorola DROID 2 for just $29.99? Well you can.. as long at you don't mind it being this dummy phone. There have been a few leaks about the DROID 2 lately, but the dummy probably gives the best idea of what it different. The main change is a much larger and better looking keyboard, otherwise the changes are quite subtle. 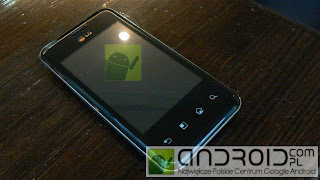 We do notice that the DROID 2 still has a 5 megapixel camera on the back though. What's inside is more interesting.. we can only speculate about the internals, but Motorola really need to put a 1GHz processor and more RAM into the DROID 2 to make it truly competitive. And we also imagine that this means that the MILESTONE 2 is just around the corner too..
Android lends itself pretty well to the tablet format we think, and Digital Trends have this roundup of upcoming and rumoured tablet devices. Although the Dell Streak is available now, we think that it's just an oversized smartphone.. and frankly we're not big fans of Dell's laughable approximation of customer service. 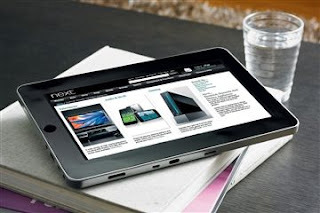 Some of these other device are much more like the iPad, some are much more fanciful. One criticism of these designs is that they are all very "me too". We'd love to see a subnotebook format Android device with a decent keyboard! comScore has reported a significant boost in the percentage share that Android has in the US smartphone market, up from 9.0% in February 2010 to 13.0% in May (up 4%). RIM is still top of the pile in the US smartphone market, with 41.7% (down 0.4%), followed by Apple at 24.0% (down 1.0%) and Microsoft just ahead of Android at 13.2% (down 1.9%). 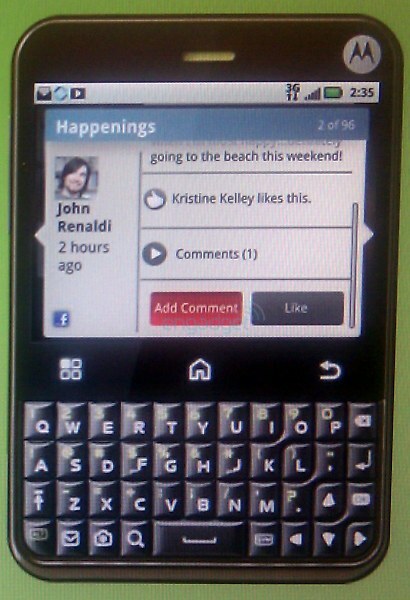 Palm comes in at just 4.8% (down 0.6%) although their recent acquisition by HP may make WebOS something of a wildcard. Apple's decline is probably due in part to anticipation over the the iPhone 4 which was launched last month, so we would expect to see the next round of comScore figures to show a big jump for Apple. Android is clearly doing well, but it has a lot of work to do if it wants to grab even the number two position from Apple. A lot also depends on whether Microsoft's new Windows Phone 7 platform is a success or disaster, and that's something we will only really know in six months time or more. The Moto FLIPOUT.. without a FLIP. 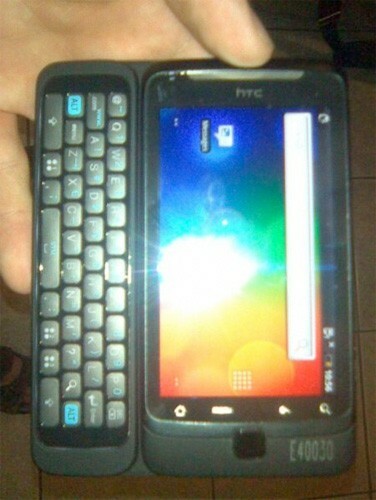 A blurry screenshot of something nice.. the HTC Vision is said to be an Android phone with a practical looking slide-out QWERTY keyboard, a 1GHz processor, Android 2.1 and a 3.7" display. At the moment HTC have nothing that competes directly against the Motorola Milestone or DROID which has a pretty miserable keyboard and a slower processor. Think of this as a Desire with a decent keyboard.. and I certainly know I want one at any rate..
Symbian-Guru.com has been one of the best blogs for the Symbian platform for some time, but a shock announcement that the blog has closed has certainly caused ripples in the Symbian community.. not least because editor Ricky Cadden has deserted Symbian altogether for Android. AndroidSmartPhone.com tries to steer clear of fanboyism.. there are actually plenty of nice phones out there running something other than Android. So we have to say that we're sad to see Symbian-Guru.com but not surprised. Personally, I believe that Nokia never made the best of Symbian despite having a lot of strengths compared to other OSes. 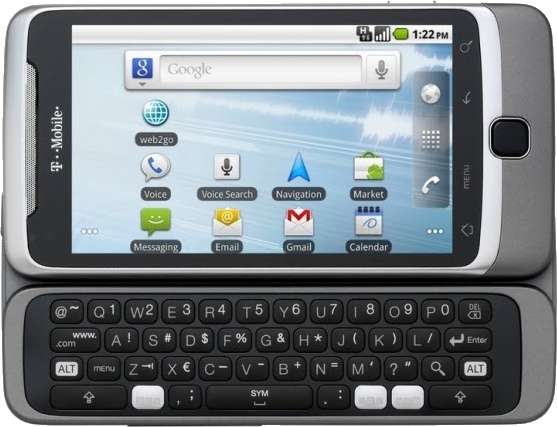 Yes, Nokia have the N900 which runs Maemo - and Android-class OS - but put the N900 and a high-end Android device next to each other and Android certainly wins. 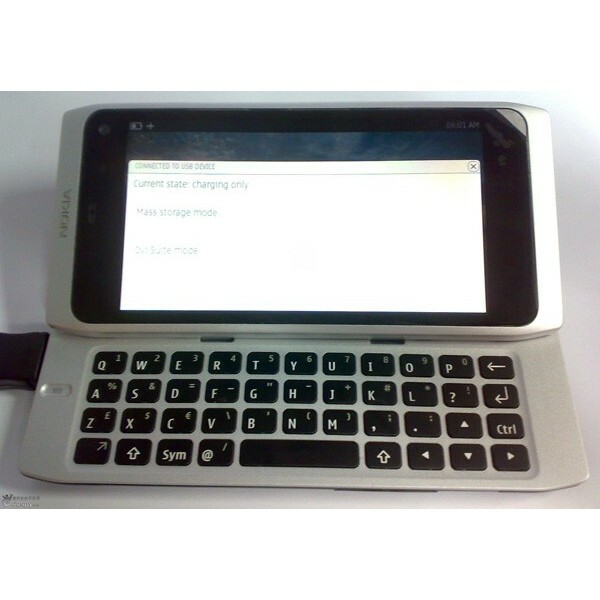 The N900 is the first and last Maemo phone from Nokia, future high-end devices will run the untested Moblin OS. Perhaps it is time for Nokia to swallow its pride and offer an Android handset alongside their Symbian and Maemo/Moblin ones. Would it sell? You betcha..
GSMArena has the scoop on another upcoming Moto, the Motorola CHARM. Looks familiar.. well, yeah.. because it's basically the Motorola FLIPOUT without the flip, making it a BlackBerry-style messaging device. 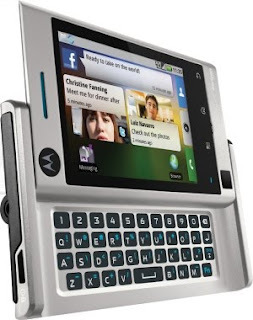 Now, although we're very happy to see Moto pushing Android so hard with some excellent devices, the CHARM is really just another version of the "Morrison" platform used of the CLIQ, BACKFLIP and other Motorola devices. Perhaps it's time for something different.. like a clamshell? The Motorola DROID X was pretty widely leaked before yesterday's official announcement from Verizon and Motorola, so all we were waiting for really were some details. The monster 4.3" display is the most obvious thing, but this Android 2.1 phone also has a 1GHz processor, an 8 megapixel camera, HD video capture and an HDMI output for playback. There's no keyboard though, and an annoying-looking bump on the back where the camera is housed means that it won't sit flat on a table. Hopefully Moto will have a docking station solution in the works, although obviously that's going to cost more. If you want one of these then you have to live in the US and be on Verizon to use it. There's no word on a GSM version though, and in some ways it competes with the Milestone XT720, so the situation is unclear. Good news and bad news: Adobe Flash Player 10.1 Arrives for Android.. but whether or you see it as good or bad news depends largely on your point of view. Available only for Android 2.2 devices (and there aren't exactly many of those about), Flash 10.1 will be available through the Android Market for download. Now, Android users can experience full Flash multimedia while opening up their Android handset to a terrifying number of security flaws that Adobe products come with. Still, it might annoy those people who have shelled out for a new iPhone 4, which isn't a bad thing..
How cool is this? Well, very cool we think.. but you have to be in the US to get one. 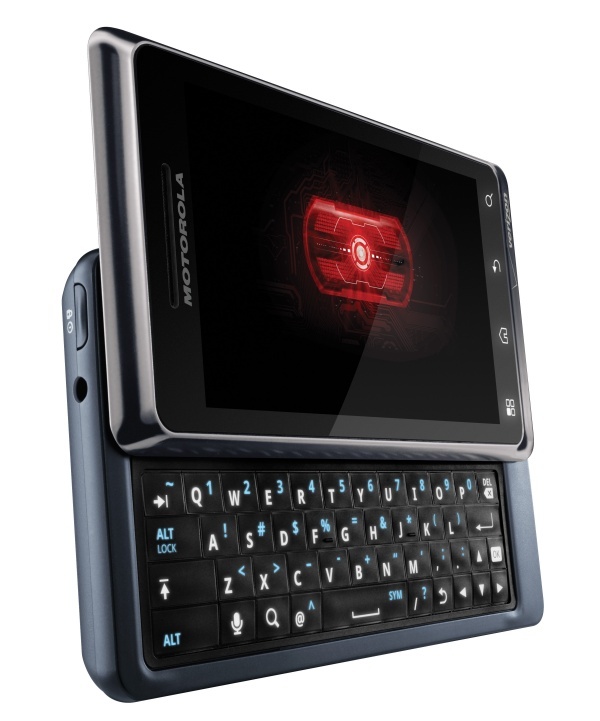 A more compact version of the X10 with a lower spec and lower price tag, the Sony Ericsson Xperia X8 is pitched to sell at less than €200, but it still comes with all the Android essentials. Complex has a useful guide as to what it sees as the Top 15 Android Phones available now.. in the US that is. In fact, they might we be all the Android phones available in the US, but at least it goes to show that you get a real choice of different gadget to play with. 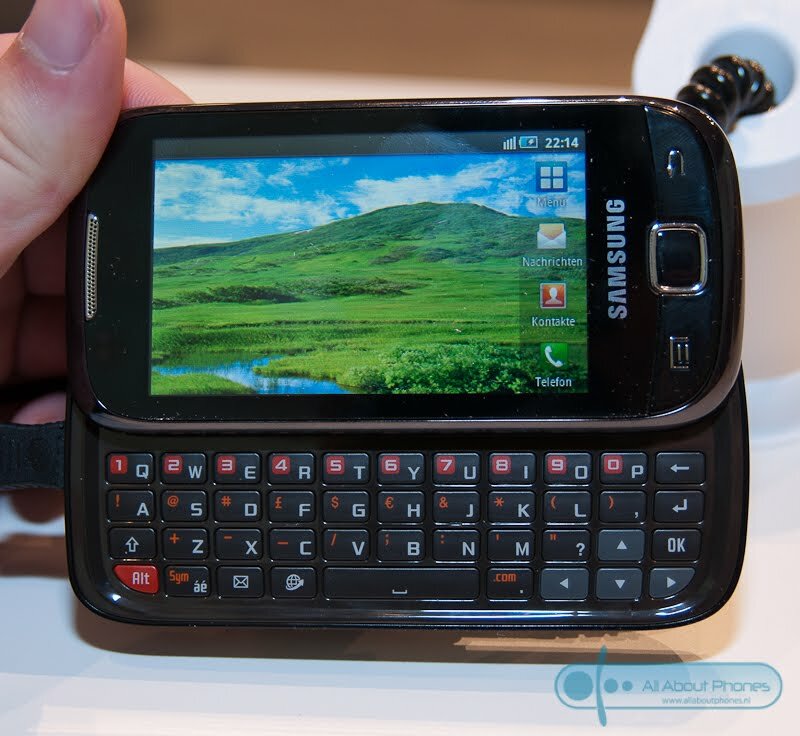 A pair of fairly low cost Android phones from Samsung, the Galaxy 3 I5800 and Galaxy 5 I5500 are likely to cost less than €250 or thereabouts in our estimate. 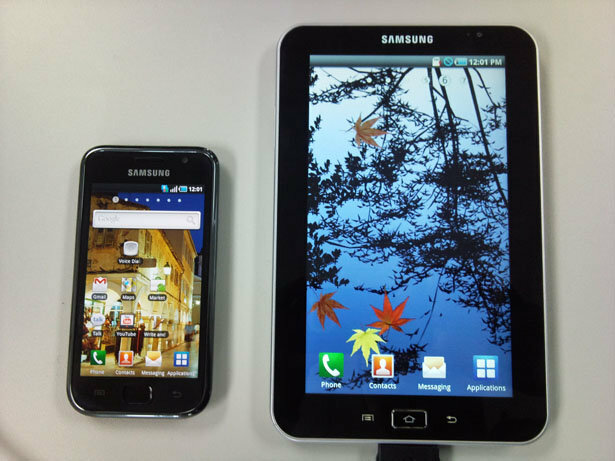 The Galaxy 3 is actually the higher spec device with a WQVGA screen, the 5 is a but smaller with a plain QVGA display. The camera is nothing to get excited about, but there's the usual collection of 3.5G, WiFi and GPS that will make the pair of them useful. Thanks to GSMArena for the heads up on the forthcoming Samsung Galaxy Apollo GT-I5801, an Android phone with a 3.2" touchscreen, FM radio and 3 megapixel camera on the back. 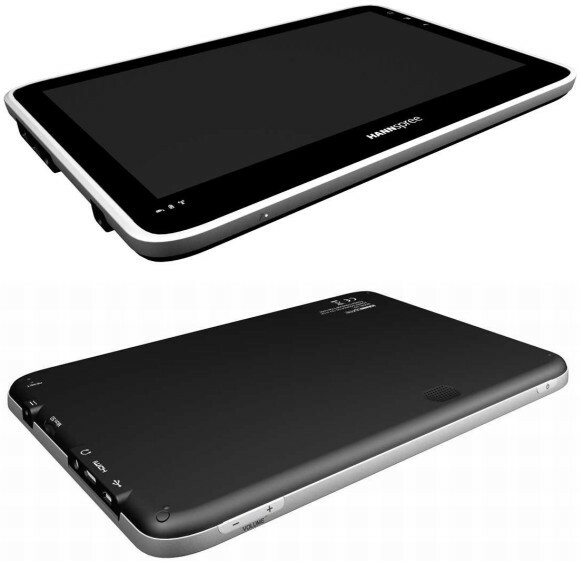 Other rumoured specs include 802.11n WiFi and a 3.5mm audio socket. A brief video overview of the new XT720, announced on the same day as the iPhone 4! Cheekily announced on the same day that we're expecting to hear about the 4th-gen iPhone, the Motorola Milestone XT720 is the European version of the Korean MOTOROI. Building on the familiar "Sholes" platform, the XT720 is a keyboardless tablet with a 3.7" display 854 x 480 pixel, 8 megapixel camera with Xenon flash, an HDMI interface to enable it to be connected to an HD TV and Android 2.1. There's also an FM radio (which rumour has it is also installed but not enabled in the original Milestone), plus of course all the multimedia goodies that you'd expect. Moto haven't said what kind of processor it has, but the MOTOROI has a similar 600MHz CPU to the Milestone which is fast enough for most apps, but you can tell the difference when put up against the HTC Desire. If you get as frustrated as we do with the Android Market, then help is at hand according to this excellent article from Mashable entitled 7 Ways to Find Amazing New Android Apps. Indeed, the biggest problem with the Android application library is not that there are too few apps, but there are just a mass of them and the official Market is not very well organised! So, we think that this guide will certainly help. Samsung leaked information about a forthcoming Android tablet today, the Samsung Galaxy Tab which is much more of an iPad-style device than the Dell Streak. 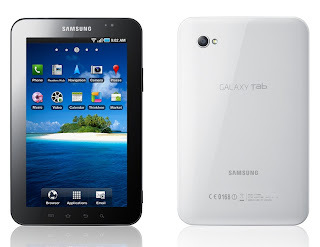 Sources say that the Galaxy Tab has an 8" display or similar, but there's not really too much that can be determined from the limited pictures available. 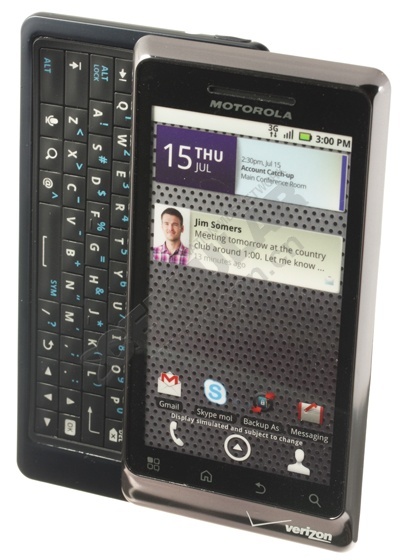 Another variant of the Motorola "Morrison" platform, the Motorola FLIPOUT has a rotating keyboard and an almost square design. Will it sell? Not sure, but Moto probably think that it is worth a shot. If you work for a big mobile phone manufacturer and are given a prototype to field test, it's vitally important not to leave it in a bar .. or in this case, the gym. 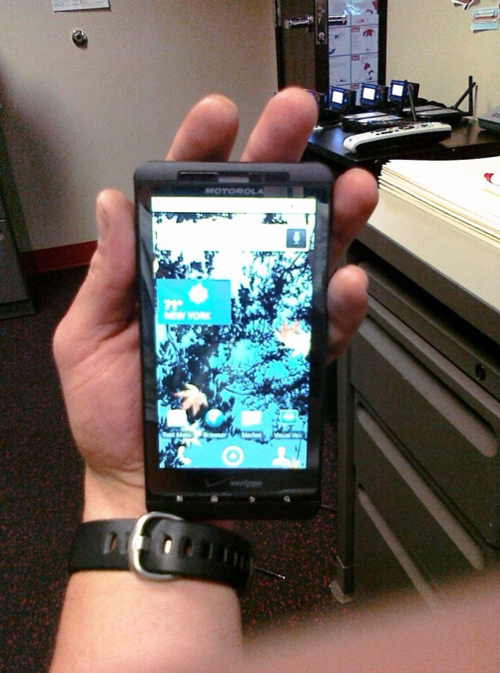 Yes, some poor soul left a prototype of what appears to be the Motorola Droid Shadow, a Motorola Sholes-based handset (like the orignal Droid and Milestone) with a large 4.3" display, 8 megapixel camera and built in Android 2.2. This particular handset is going to Verizon in the US, but if the pattern with the Droid and Milestone is repeated then hopefully there will be a GSM version pretty soon too. The rumour is that the Droid Shadow uses Motoblur, something that hasn't been available on Sholes devices before, which should be pretty cool.